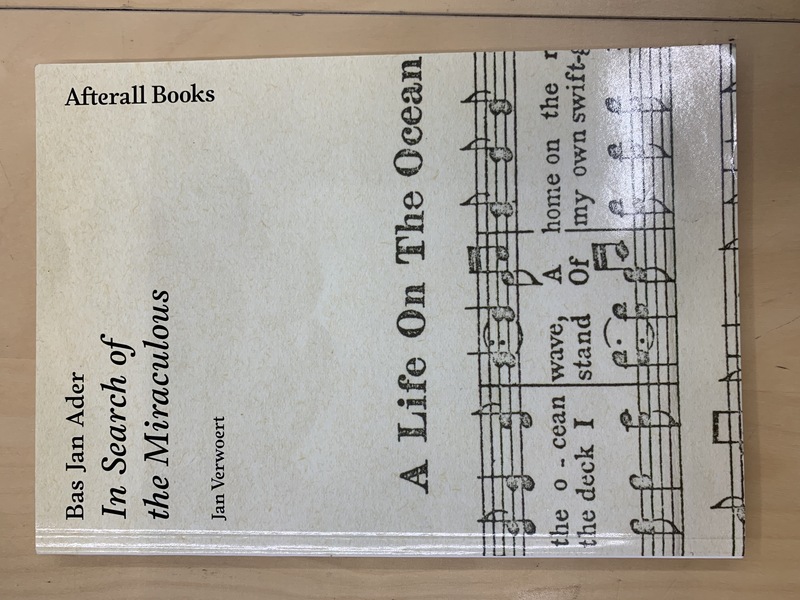 In 1975 Bas Jan Ader disappeared at sea while trying to sail from the East Coast of the United States to Europe as part of a project titled In Search of the Miraculous. Ader's considerable influence on later conceptual artists stems from the way in which he used the cool analytic and antisubjective aesthetics of conceptual art to explore experiences that would seem definitively subjective--the emotional intensity of tragedy and the romantic quest for the sublime. In Search of the Miraculous was conceived as a three-part project: a lonely nighttime walk from the hills of Los Angeles down to the sea, documented in photographs; the Atlantic crossing; a night walk through Amsterdam, mirroring the LA photographs.The circumstances of his disappearance have led many interpreters to identify Ader (as a person) with the role of the tragic romantic hero. The cult status of the artist as a hero whose work is authenticated through his death, however, has obscured the fact that Ader's art was a critical investigation of precisely those romantic motives his persona has now come to be identified with. This book unpicks these ties in Ader's work in order to highlight the specific and unique way in which Ader explores the existential and emotional with an artistic approach that is as conceptual and analytic as it is poetic and personal.